If you have to constantly access your garage for something other than the car, for example to take bikes in and out, having to open up the whole door can be a pain. With symmetrical and non-symmetrical side-hinged doors, you can simply open up one side of the door and nip in and out in no time at all. 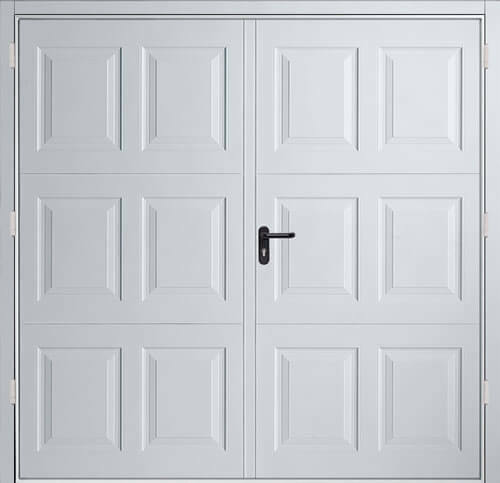 Side hinged doors come in many simple but stylish designs, and are ideal for locations where obstructions may be present within the garage that prevent the installation of other garage door types. The only thing you must consider when ordering a side hinged door is that you’ll need to allow space at the front of the door for opening.